Last year I had the pleasure of providing the art direction and designing the brand identity of WanderWonder. Finally launching this week so please join Lenz Fan as he unveils the label and collection. Currently stocked at The Reckless Shop by Reckless Ericka, located at The Stamford House #01-03 39 Stamford Road. Fav graphic design firm Bibliothèque has a spanking new website. Have your very own personal dining directory come alive for you at your fingertips, and stay updated of the latest deals and promotions at ION Orchard. Users will be able to search by alphabetical order, categories, store levels and keywords from over 80 different types of food outlets. Write your own or read other reviews posted by patrons. Want to rave about these delicious dessert crepes you just had? You can upload pictures, ‘Favorite’ a restaurant and share a review or promotion almost instantly with friends via facebook. Satiate your appetite as you wish, with instant call button to make reservations at any dining outlet. Your dining experience at ION Orchard has truly been revolutionised. Download it here. 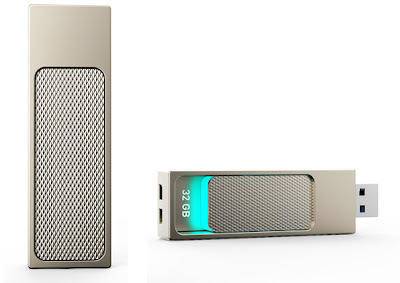 Sandisk recently commissioned the design firm Lunar to develop a new secure USB flash drive. The thumb drive also features check point virtualization that gives mobile workers access to files and applications from anywhere and at anytime. Lunar’s design team set out to create an impenetrable monolith that would communicate the device’s secure features. The design is comprised of a seamless cast mtal casing that has a concealed extension mechanism for retracting the USB key. When closed, the key appears to be solid with no apparent means of entry. Smartly designed and executed. Directed by David Lynch, with Marion Cotillard, the film takes place in Shanghai. Dior approached Lynch asking him to make a film for the internet, anyway he wanted it just had to have the Dior bag, the Pearl Tower and Old Shanghai. Not knowing what the Pearl Tower was, Lynch discovered that the building was inspired by a poem about pearls falling on jade. Watching this, there are so many Lynchian elements, dreamscapes, the blurring between imagination and reality, the beautiful weepy heroine, and the blue rose.